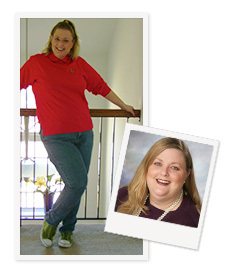 Before having my gastric bypass, everything was difficult. I was too large to fit into the normal sized world. I had trouble walking up and down stairs because of my back, knees and breathing. I couldn't fit into a booth at a restaurant or the seats at movies, arenas, or on airplanes. I always had to wear elastic waistbands rather than fitted clothing. I wore a size 34/36. I took six medications each day. I hated seeing myself in photos and just basically hated the way that I looked. I researched the surgery online. The initial consultation was very comforting. I knew that I was in the right place. I chose Barix because this is their specialty and the surgeon and his staff made me feel so at home. There was none of that "doctor talk," only straight forward conversations. My new life is just wonderful! I have so much energy. I was actually able to walk up the Arc De Triomphe in Paris which has 284 steps! I am now wearing size 12/14 clothing and like the way I look in photos. I am proud of how far I have come. Choosing Barix Clinics was the best decision that I have ever made. Not only was my surgeon wonderful to work with, but the nursing staff was the best I have ever dealt with. They were tough, but looking back, I am thrilled that they were, because they helped me to succeed.